Running in parallel with a shifting legislative climate around the world, a fast-growing crop of so-called ‘pot-stocks’ has been lighting up multiple stock markets, including the ASX, for a good while now. One nimble biotech company that’s rapidly establishing itself as a formidable player in this space is MGC Pharmaceuticals (ASX:MXC). MXC was the second company to originally emerge in the ASX cannabis corridor, and with a whip-smart team that’s put in serious hours in the industry-leading Israeli medicinal marijuana scene, this ASX junior is rapidly coming into its own. MXC has a wide-reaching global footprint, with facilities across Australia, Slovenia and the Czech Republic, and plans to expand into the Asian, UK and US markets. This year, MXC been smashing milestone after milestone, and with a triad of high-impact deals, the company is now entering its revenue phase. The first of these developments on its radar is a game-changer. 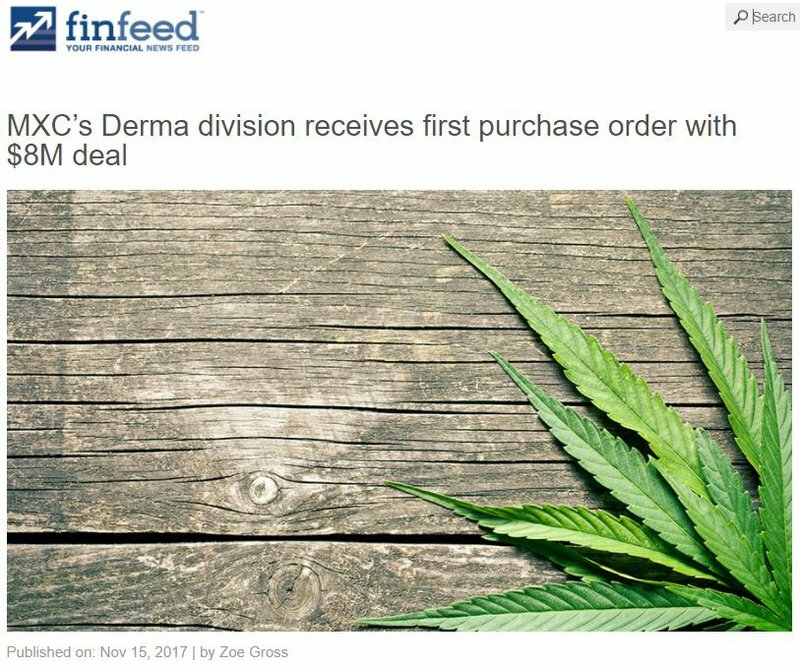 MXC’s Derma division has clinched its first exclusive binding sales agreement worth $8 million to supply Varm Cosmo, a well-backed Korean cosmetics manufacturer, with cannabidiol (CBD) products. Under this agreement, MXC’s pharmaceutical division, MGC Pharma, will supply around 30 kilos of pure CBD per annum to MGC Derma. These products will be sold to consumers under a premium white-labelled Varm Cosmo brand, which will be launched in the coming month. And the first formal purchase order has now been received bang on schedule . This delivers the first material revenues for MGC Derma. It should be noted, however, that MXC is still an early stage play and commercialisation should not be taken as guaranteed. Investors should seek professional financial advice for further information. MXC is now in advanced stages of negotiation with Varm Cosmo for the two additional contracts, which will deliver MGC Derma products into new Varm Cosmo markets. These agreements are expected to be finalised in the coming weeks to complete the full $40 million supply agreement. This alliance is a major strategic entry point for MXC into the global cosmetics market, which was worth US$460 billion in 2014, and is expected to climb to US$675 billion by 2020. In fact, the South Korean corner of the beauty market alone is estimated to be worth about $16.5 billion, making it one of the most lucrative in the world. This transformative deal also sees MXC emerge as Australia’s highest paid cannabis supplier. ...Not bad at all for an emerging ASX small-cap. Pivotal news has also been happening on the pharma leg of MXC’s operations. 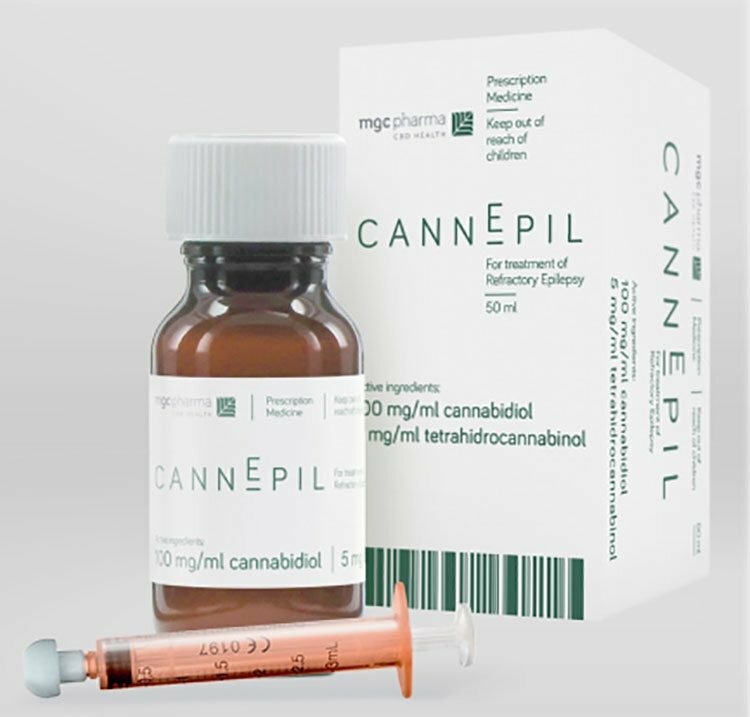 At the beginning of November, this division struck a strategic deal with specialist Australian pharmaceutical distributor, HL Pharma Pty Ltd, to bring its adult medical cannabis epilepsy product, CannEpilTM, to Australian patients. Since then, a binding definitive exclusive supply agreement has now been signed, and the product will launch early next year. The deal is set to generate significant medicinal cannabis revenues, with around $1 million expected in 2018... and that’s just from less than 100 patients that have already registered. There are more than 70,000 Australians living with the kind of drug-resistant epilepsy that the CannEpil product is targeting. Beginning with adult epilepsy, the CannEpil treatment will be made available to Australian patients for less than AU$800 — a price considerably lower than competing products in the market. The move has also been backed by Australia’s leading epilepsy services provider, Epilepsy Action Australia (EEA), and an initial group of five doctors with a starting pool of more than 50 patients. This deal is another major win for MXC, and clears a direct pathway for debuting MXC’s medicinal cannabis products into the multi-million-dollar Australian market. On top of that, MXC has also this week revealed that it’s penned yet another strategic agreement... a multi-year supply deal with European medicinal products distributor, Mabsut Life, to supply a specialised, industrial-grade CBD extract from its European extraction facility. This latest notch on MXC’s belt is set to generate $1 million in annual sales. With $9.5 million cash in the bank and no debt, MXC is in a financially well-muscled position to surge forward, as it delves head-first into this serious revenue-generating phase and ramps up its research and development efforts. MXC is currently valued at $112.4 million and is rapidly blossoming... and if it continues on the sure-footed path it’s steadily maintained thus far, it may not be long before its small-cap days become but a hazy memory. 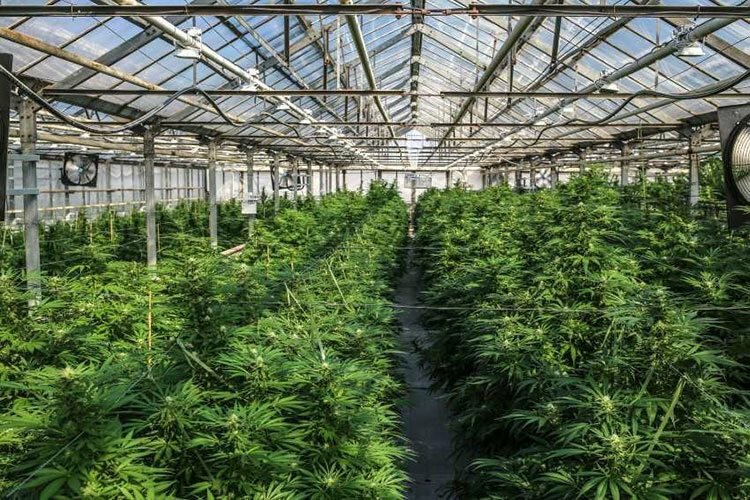 Harnessing years of experience in the Israeli medicinal cannabis sector, MGC Pharmaceuticals (ASX:MXC) is creating a seamless, highly supervised supply chain from planting to extraction. Its aim? To emerge as a leading biopharma business in the rapidly expanding medical marijuana space. And as MXC moves purposefully into its operational, revenue-generating stage of maturity with a chock-full pipeline, it’s well on its way to doing precisely that. MXC is on a fast track towards commercialisation in the cannabis industry, both from its European operating base and in Australia. This is part of its underlying strategy for market growth. With its finger poised on the pulse of this fast-moving sector, MXC has its eye on the changing legislation sweeping across Europe, including Germany, the Czech Republic, Austria, Slovenia, Greece and Macedonia, and is now clearing a pathway for itself in the Australian market, which has recently seen major industry regulation changes (we’ll return to this a bit later). The focus of this article will be on the Pharma and Derma side of things, but to give you a small taste of the Botanic part of its business, MXC has cultivated and harvested crops in its world-class facilities in the Czech Republic and Slovenia, and is able to produce active pharmaceutical ingredients (APIs) at these European extraction facilities, which are currently undergoing Good Manufacturing Practice (GMP) certification – with a lot more to come. 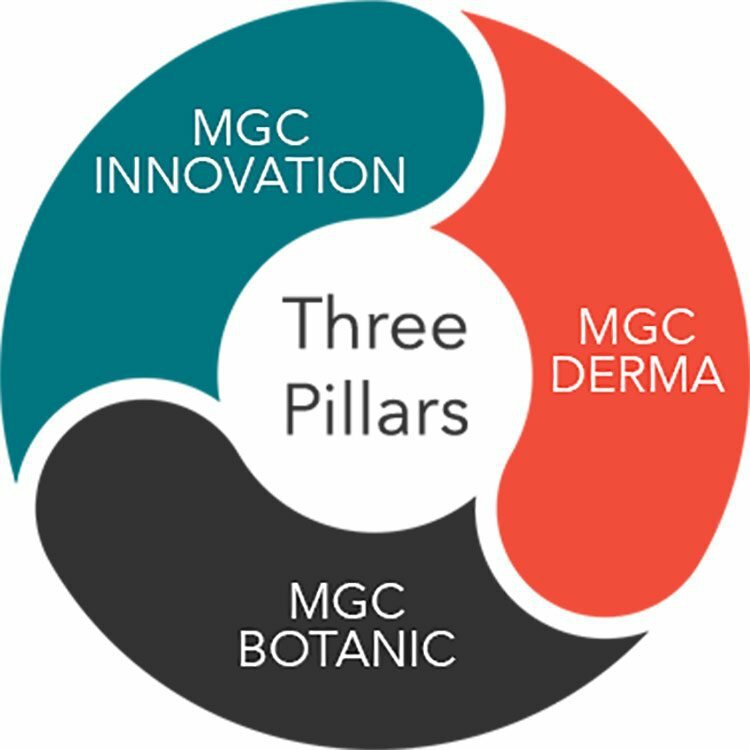 MGC Derma is a joint venture with widely recognised cosmetic manufacturer, Dr. M. Burstein Ltd, of which MXC owns 51% and holds management control. The Derma division centres around a CBD-based skincare and anti-ageing line for day-to-day use. The brand has snapped up distribution deals across multiple markets, with an aggressive growth plan to expand into others. 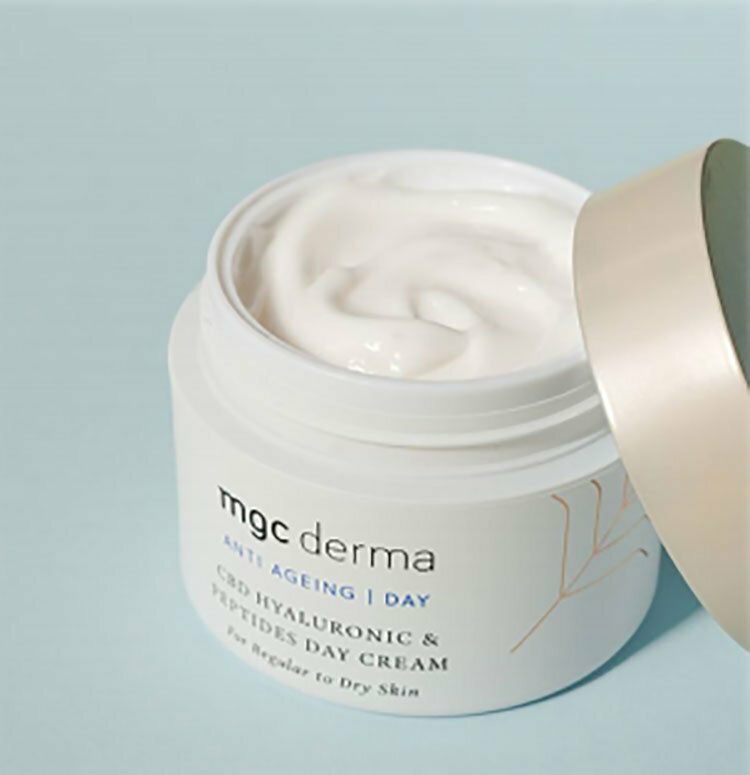 To date, there are 15 MGC Derma-branded cosmetic products, which are sold through an online retail shop, as well as through exclusive wholesale distribution deals. As revealed back in October , the Derma division has signed its first binding sales agreement with Varm Cosmo to the tune of $8 million. This clearly piqued investor antennae, with announcement of the deal’s execution seeing a positive effect on MXC’s share price. Varm Cosmo is an emerging Korean health care and beauty cosmetics company with a global distribution network, and sells its CBD range online and through a number of retail outlets. It’s backed by a well-funded private investment group, and also has an established CavaLabs brand which is sold through well-known retail stores. This collaboration enables a major strategic advantage for MXC, offering a clear entry point into the sizeable global cosmetics market. How much of this market, MXC is able to attract remains to be seen so investors should seek out all publicly available information and take a cautious approach to their investment decision in this stock. The deal is for a minimum contracted volume of $8 million of product. Under the agreement, MXC’s Pharma division will supply some 30 kilos of pure CBD per year to MGC Derma – a new direct income stream. The MGC Derma products, in turn, including CBD facial creams and masks, will be branded and distributed by Varm Cosmo under white label, and will be launched in the coming months. A further two agreements are due to be implemented in the coming weeks with Varm Cosmo, with the combined three agreements worth $40 million yearly all up. Importantly, the initial purchase order will deliver the first material revenues for MGC Derma within days, and forms part of the $1 million deposit. MXC is astutely tapping into a flourishing market. South Korea is the eighth largest beauty market in the world, with an estimated value this year of US$13 billion; facial skincare products account for more than half of that market. All in all, this is a huge win for MXC, providing not just significant revenues but also a considerable platform for MGC Derma to rapidly expand its presence in the global cosmetics market. It will also generate an additional revenue stream from MGC Pharma’s CBD extractions. MXC’s MGC Pharma arm is focused on the medical research and development of its pharmaceutical products pipeline, holding unique IP. This division is focused on three specific areas of treatment: neurological disorders, including proprietary formulations for epilepsy (which we’ll look at it more detail in a moment), oncological care and treatment, and autoimmune diseases. And it’s been riding a high of ample achievements this year. Particularly noteworthy has been a landmark collaboration with leading Australian university, the Royal Melbourne Institute of Technology (RMIT) , for a full suite of medicinal cannabis research initiatives, initially centred on pre-clinical research on melanoma and establishment of a world-first library of cannabis medicines. On top of that, MGC Pharma has also penned a five-year supply and distribution agreement with European pharmaceutical distribution company, Lenis. This major milestone sees MGC Pharmaceuticals supplying four of its CBD-rich medicinal cannabis flower products to Lenis for wholesale distribution into central and eastern Europe. Lenis has committed to the distribution of CannEpil, which will be used in the Phase 2 clinical studies and will receive registration in the EU and Australia – a landmark moment for the recognition of MXC as a biopharma company. Revenues for Lenis are expected to become material in 2018. As we’ve mentioned, at the beginning of November, MXC revealed that it has secured a multi-million-dollar deal – a direct doorway into the Australian pharmaceutical market. MXC signed a heads of agreement (HoA) with HL Pharma Pty Ltd to bring its adult medical cannabis epilepsy product, CannEpil, to the Australian market from early 2018. And as it revealed this week, MXC has now also executed a binding definitive exclusive supply agreement to seal the deal. Once HL Pharma has obtained all necessary approvals for importing the product, all systems are go. This deal is set to generate sizeable revenues through 2018 and beyond. Around $1 million is expected next year alone from a small starting pool of less than 100 patients. So, in turn, a 10% share of the potential market of 70,000 Australian patients would deliver $70 million in annual turnover. This potential extended market is something MXC is already investigating. MXC already has strong ties to Epilepsy Action Australia (EAA), which it will leverage to rapidly build an Australian patient market through an expanding network of authorised prescribing Australian doctors, and at an affordable retail price for patients. According to EAA, around 25,000 people are diagnosed with epilepsy each year. More broadly, it’s estimated that up to 240,000 people in Australia currently have epilepsy. MXC’s CannEpil product targets drug-resistant epilepsy (also known as refractory epilepsy), which accounts for about 30% of all epilepsy cases, meaning approximately 70,000 potential patients in Australia alone. Based on $1m of revenue generated from less than 100 patients, this is a major market and revenue generation opportunity for MXC. The company does remain a speculative stock, however, and investors should seek professional financial advice if considering this stock for their portfolio. The product, which is administered orally, will be sold as a 50ml bottle, containing 100mg/mL of CBD, and will be made available to Australian patients with an authorised doctor’s prescription for a regular retail price under A$800. This is significantly lower than current competing products on the market. That’s especially important, given that across Australia, patients are struggling to access this much-needed medicinal cannabis medicine – this can sometimes be prohibitively expensive for families. MXC’s Pharma division will manufacture the product at its Slovenian facility. HL Pharma, which has 20 years of experience as a specialist supplier under its belt, will be responsible for ensuring TGA and Office of Drug Control approval to import and supply the products in Australia, as well as obtaining an import permit for each import shipment. It will also be responsible for the marketing side of things. Under the agreement, HL Pharma is required to first work with MXC for provision of relevant products for future distribution before seeking out other potential suppliers. The two parties will collaborate to import and distribute CannEpil, with the understanding that the products can be expanded by mutual consent. HL Pharma also plans to wholesale distribute CannEpil to hospitals and pharmacies across Australia. This deal is pivotal for MXC, setting in place a crystal-clear timeline for bringing its first medical cannabis products to Australian patients in the form of the affordable and high-quality CannEpil, and seeing its first sales in this Australian market. With the importation of medical cannabis finally approved by the federal government earlier this year, it’s still early days for the nascent Australian market. Yet according to research by the University of Sydney, it could create a new industry worth more than $100 million a year. Given that, the considerable revenue expected from this deal could only just be scratching the surface of what MXC could achieve in the rapidly expanding Australian market. Hot on the heels of its first Varm Cosmo purchase order, MXC has also clinched a multi-year supply agreement with European medicinal products distributor, Mabsut Life, to supply cannabidiol (CBD) extract from its European extraction facility. This deal is set to generate around $1 million in annual sales for MXC. It will see MXC supply a specialised, industrial-grade CBD extract, which has been developed and produced using the company’s leading European R&D facilities. The extract will be supplied to Mabsut Life, commercialised under the distributor’s own CBD electronic cigarette brand, and distributed throughout its sales network into a range of central and eastern European countries like Germany, the Czech Republic and Austria. The terms of the agreement set out a minimum supply of 12 kilos of extract per quarter by MXC. This contract effectively commences immediately, with an initial purchase order of two kilos of extract already placed by Mabsut Life, which includes an initial pre-payment of US$40,000, expected to be received within two weeks. The deal is for an initial two-year period and will then automatically renew each year upon mutual agreement. Mabsut Life, meanwhile, is a lifestyle and medical cannabis product manufacturer and distributor, with a focus on multiple segments of the emerging European supply chain, with operations in Germany, the Czech Republic and Austria. The specialised extract supplied by MGC Pharmaceuticals will be used by Mabsut Life to develop a CBD-based vaporiser/e-cigarette cartridge formula based on 100% cannabis ingredients, removing the need for any additional chemicals or solvents. This is backed by research conducted at the University of Lausanne in 2016, which showed that e-cigarettes can provide a safe and effective way to deliver cannabis for medicinal purposes. The agreement includes a right of first refusal for the supply of any future cannabis extract or other cannabis-based products required by Mabsut Life, so there’s also potential here for MXC to supply additional products to Mabsut Life. Building on a cluster of transformational collaborations and contributing soundly to its diverse and growing revenue base, this deal is another gold star for MXC. Importantly, it also reinforces the strength of MXC’s research and development platform, with its clear capacity to develop formulas of the highest quality. MXC is well-funded, generating revenue, and has a lot more up its sleeve including its exclusive contacts and Israeli medical research network that it has access to. A distinctive point of difference for this ASX junior is that it has research programs into both medicinal and cosmetic uses for cannabis. This will give it an edge as it moves forward, maximising the ways in which it can tap into the constantly expanding spectrum of applications for legalised marijuana. Over the coming weeks, and well into 2018, MXC’s calendar is looking jam-packed. For one, it has a new line of products called DermaPlus for the relief of psoriasis, eczema and acne, set for launch in January 2018. Moreover, the company expects to have GMP certification for its Slovenia lab by Christmas. If that’s not enough, MXC hopes to begin its phase 2 clinical study for epilepsy in Europe before the year is out, and the coming weeks will also see the completion of MXC’s additional two contracts with Van Cosmo. This flurry of activity will translate into regular news flow, and signposts some significant upcoming milestones for the $112.4 million-capped MXC – all of which are potential share price catalysts. While many of its peers are still trying to nail down the right niche, MXC is quickly distinguishing itself and emerging as an industry leader, and all signs are pointing to green pastures ahead.